Darwin Gillett is the Founder and Director of the Center for Mind-Body Psychotherapy & Hypnosis located in Newburyport, Massachusetts and now with an office in Westford, MA. He has a Masters degree in social work (MSW) from the University of New Hampshire and is a Licensed Independent Clinical Social Worker (LICSW) in the state of Massachusetts. Darwin also holds an undergraduate degree in Psychology from Bates College. He is certified in Advanced Clinical Hypnotherapy and has been certified in and practicing hypnosis for 20 years. He has taught several undergraduate classes and other courses and workshops on various topics in the field of psychology. He is also a Reiki II practitioner. Darwin has appeared on local television and was filmed for national television on an episode of MTV's "Made". Click on the following video to learn more about Darwin from an interview that he did on the cable show, "Healthy Hypnosis". The following is an interview of Darwin that appeared on Cal Banyan's website on October 6th. Cal Banyan is the founder of 5 PATH Hypnotherapy. I am having a wonderful time “checking up”; on some of our graduates of our Hypnotherapy certification courses by conducting these interviews. 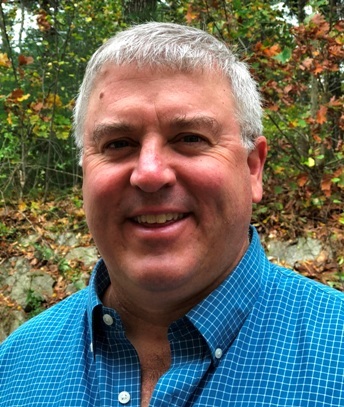 Today I am very happy to introduce you all to Darwin Gillett at the Center for Mind-Body Psychotherapy, where he has hypnotherapy practices located in Newburyport, MA and Westford, MA. Darwin has experience working with a vast array of issues using advanced hypnotic techniques, such as those contained in 5-PATH®. I believe that Darwin stands out as a hypnotherapist because it is his intent is always to guide his clients to a path of understanding and insight that allows them to fully utilize their own powerful and inherent healing and creativity in order to better their lives. He really understands that at the highest levels of hypnotherapy one must eliminate negative beliefs and influences to open new and tremendous opportunities for health, happiness, peace, and success. According to Darwin, this is what it takes to bring about the beginning of a new and fulfilling life for his clients. Now I’d like to let him tell you the rest as we move on to the interview. Cal Banyan: I’m really excited to hear all about your successful hypnosis practice and your approach to helping your clients. But let me start off by asking you how it all started? Darwin Gillett: Ever since I was a young child, I have been interested in psychology and alternative healing. I majored in psychology and went on to get a masters degree in social work. As a licensed clinical social worker, I have done traditional psychotherapy, but often found that it lacked the ability to move my clients quickly and effectively to a place of healing. I decided to get certified in hypnosis about 10 years ago, but found that my skills improved tremendously after taking your 5-PATH® course. Cal: So you have been doing hypnosis for quite a while. I’m so glad to here that our advanced hypnotherapy course helped you and your hypnotherapy practice to become more effective. We just love hearing that kind of feedback from our graduates. Tell me about your practice now. Darwin: I founded the Center for Mind-Body Psychotherapy in Newburyport, MA in order to bring different disciplines together to provide a quality, mind-body approach, to psychological healing. We are currently growing, as I continue to look to add to our center’s offerings. Right now, I am the only one at the center doing hypnotherapy. I see clients of all ages and for a variety of different issues, including fears, depression, anger, relationship issues, children’s issues, addictions, stop smoking, weight loss, and many other issues. The center is located in downtown Newburyport, MA, which is a lovely little city located on the ocean in northeastern Massachusetts. Cal: That sounds great. I really like the fact that you are able to work with so many different kinds of issues. That is one of the great things about 5-PATH®, it really is a universal approach to doing hypnotherapy. It sounds like you bring a lot of educational background to the work you do in addition to your specialized training in hypnosis. Darwin: Yes that is right. I have an undergraduate degree in Psychology, a Master’s Degree in Social Work, and am a Licensed Independent Clinical Social Worker (LICSW) in the state of Massachusetts. Because I am an LICSW I am even able to take insurance payments for some of the work that I do. I am a certified hypnotherapist by the National Guild of Hypnotists. And of course, I am certified in 5-PATH® Hypnotherapy and certified as a 7th Path Self-Hypnosis® Teacher. I also have training in EFT (Emotional Freedom Techniques) and am certified as a Reiki II practitioner. Cal: That is wonderful. So what has turned out to be your main approach to doing hypnosis and helping your clients to be successful? Darwin: For the last several years I have really done straight 5-PATH®, as I find it to be most effective. Occasionally, I will use some other techniques depending on the client and their issue, but for the most part I have found that 5-PATH® is very effective at getting the job done. Cal: So tell me about an interesting case if you can. Darwin: I have had many interesting cases, but I have most enjoyed the work I have done with kids. Prior to going back to get my masters degree, I was a teacher and coach, and have always been drawn to that population. Thus, I think the cases where I am able to help kids deal with fears, school related issues, physical problems, and just managing their emotions are the most rewarding for me. I can remember an especially interesting case working with a youngster who had severe Obsessive Compulsive Disorder. It had gotten so bad that it was difficult for him to attend school. So, his family was at their wits end to try and figure out how best to help him. After just a few hypnosis sessions, his obsessive thinking and compulsive actions decreased immensely. Ultimately, he was able to attend school without any issues, and the problem has really gone away. His family was very happy, and it was very rewarding for me. Cal: Oh, that is great. This profession is so satisfying, and I especially love hearing success stories like that from one of our grads! Thanks for sharing that. Tell me more about the population that you serve. Darwin: I really like working with adolescents, but I am really a generalist. As a trained psychotherapist, I look at my specialty as being able to help any clients with alternative, mind-body techniques like hypnosis. So, I see my specialty as being able to deal with any psychotherapeutic issues using hypnosis. In terms of the geographical area that I serve, most of my clients come from the Boston area, Southern New Hampshire, and Southern Maine. However, I do have clients come form all over New England. Cal: How about specific issues? Are there specific issues that you are known for working with? Darwin: I really enjoy working with fears and phobias. I find it so interesting to see how these fears developed and then to see how empowering the results of our work can be for the client. To have a client that has been suffering from some fear that has severely limited their lifestyle and then have the fear no longer be there is really an amazing thing to watch. I feel like I am being given a gift to be able to witness their transformation. It is a great thing. Cal: Yes, I know how that feels, and I agree with you I like working with fears as well. I remember how I felt so powerless to tackle those kinds of issues when I graduated graduate school, but now that I use hypnosis, I can confidently tackle fears and phobias. It sounds like you have quite a successful hypnosis practice. Can you tell me why your clients choose you? Darwin: I have had good results. So, I get a lot of referrals from people that I have already seen. I’d like to think that my warmth and concern come through my website and marketing materials, and even when I am talking with people on the phone. I also think when I explain how 5-PATH® works, people realize that they are really getting a top-notch therapeutic service. They come to realize that because I use 5-PATH®, it provides a much more thorough and deeper healing experience than a traditional hypnotherapist might offer them. Cal: So it is all about getting results that bring in new clients. I like that. Success is the best kind of marketing. Do you only see individual clients or do you teach classes as well? Darwin: Although much of my practice consists of seeing clients I also conduct classes. In fact, I teach several classes. I teach a traditional style self-hypnosis class, an EFT (Emotional Freedom Techniques) class, and I hope to teach a 7th Path Self-Hypnosis® class sometime later this fall. Cal: So it sounds like you have a very well-balance practice. The hypnotherapists that I have spoken with over the years really like the ability that they have to both see clients individually, and teach classes. It really works out well. Since you have such a well-balanced practice, I am curious to hear what you wish everyone knew about hypnosis? Darwin: I guess that it is not a scary process. People experience forms of hypnosis every day, whether it is daydreaming, or highway hypnosis, where people become so focused they don’t even realize they just passed their exit. Not only is hypnosis not scary, but it is a very relaxing and transformative experience. People really feel much lighter, less burdened, and happier after going through the entire process. Cal: I totally agree. Where do you think hypnosis and hypnotherapy should go from here? Darwin: I see hypnotherapy becoming more mainstream, at least in certain areas. At the same time there are a lot of “forces”; that might not want to see hypnosis work its way into the mainstream. For example, drug companies or other doctors that use different techniques might find hypnosis threatening because it can often work so quickly or where nothing or very little worked before. And, sometimes they are just uncomfortable with something that they know little about. People might have only found temporary relief by taking a drug once in awhile but were not ultimately relieved from the issue. So, there are some obstacles that we as hypnotherapists need to overcome by educating the general population. I also have done a large amount of work in both public and private schools, and I know how effective hypnotherapy can be for self-esteem, study skills, and other school related issues. I would love to see it employed more in schools to really help kids succeed. Cal: I can see you have quite a vision for the future of hypnosis. And, I have to agree with you again. As we develop and promote this profession we really need to do a great deal of education to help other professionals and the public to be more aware of what hypnotherapists can do when they are working at the highest levels, like yourself and others who are trained in 5-PATH®. Thank you so much for doing this interview with me. It is all part of fulfilling that goal of educating the public and the professions about what we do.